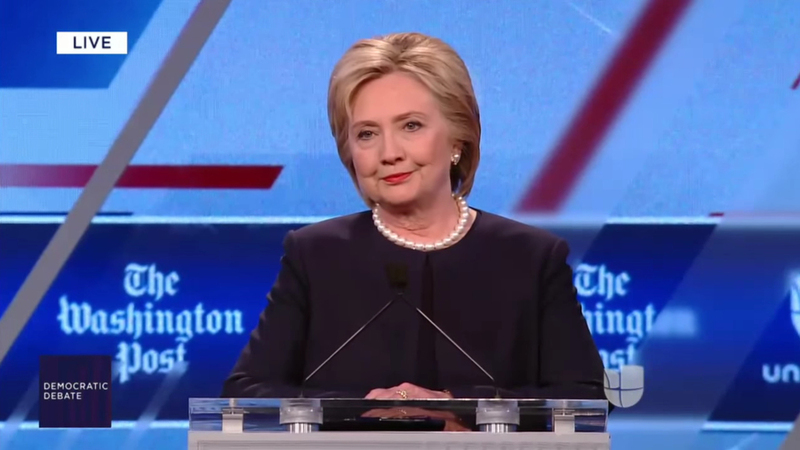 Hillary Clinton and Bernie Sanders faced off last night in another debate of the 2016 Election cycle, as Florida prepares to vote on Tuesday. 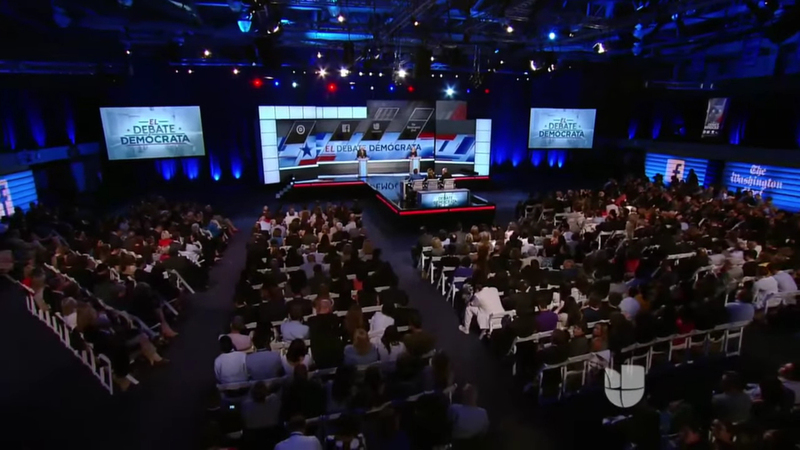 Hosted by Univision and The Washington Post at Miami Dade College, the debate was also simulcast on Fusion and CNN. 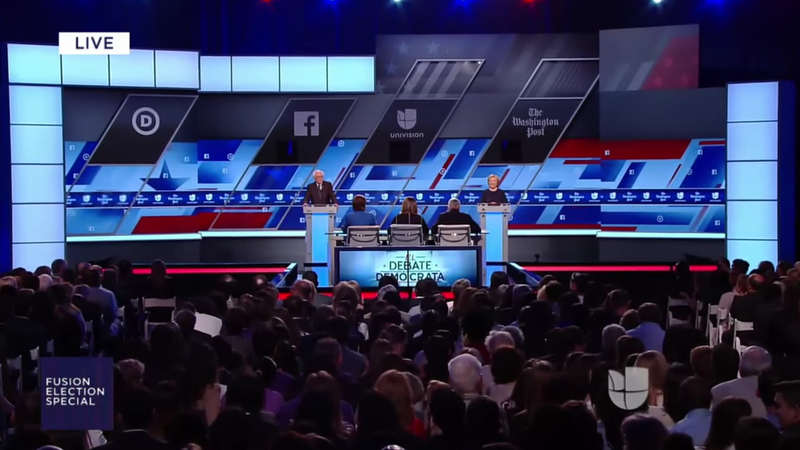 The debates stage combined a large, seamless, LED video wall with floating plexiglass and slanted silver panels to create a modern flag of stars and stripes. 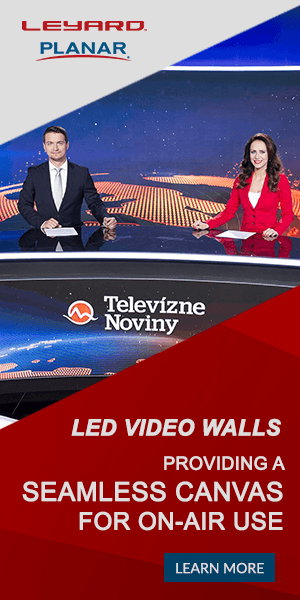 Internally illuminated boxes surrounded the stage, with host branding above the candidates. 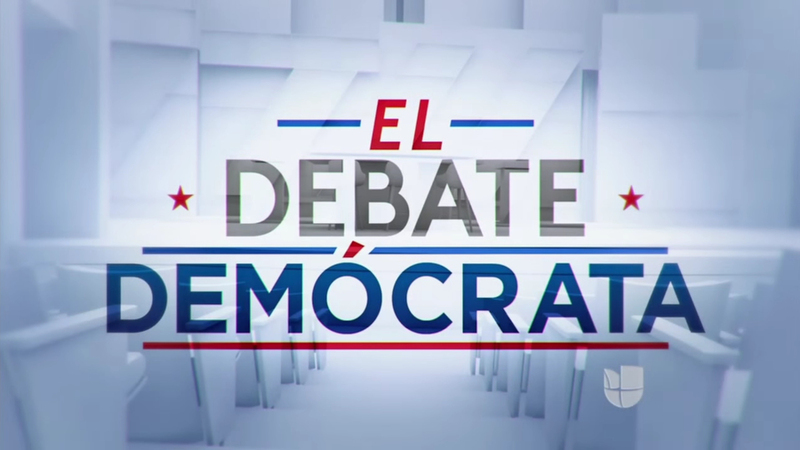 With Univision as the host, the debate was broadcast in duel languages, opening in Spanish. 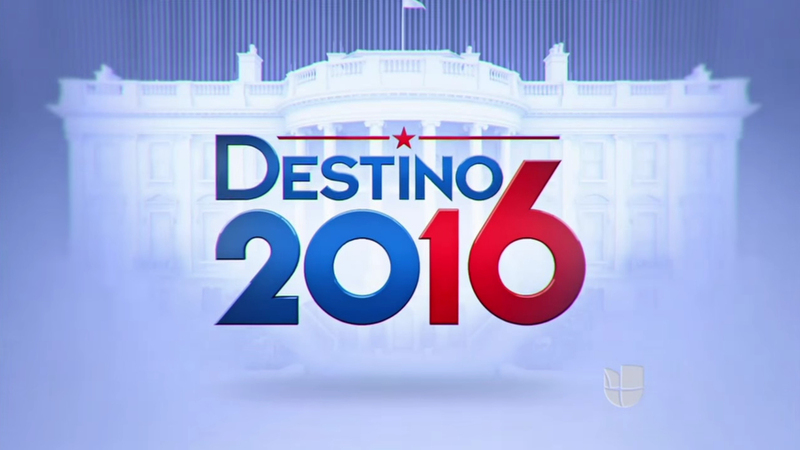 The show opening reflected this, using Univision’s election branding along with a 3D rendering of a debate stage for the title card. 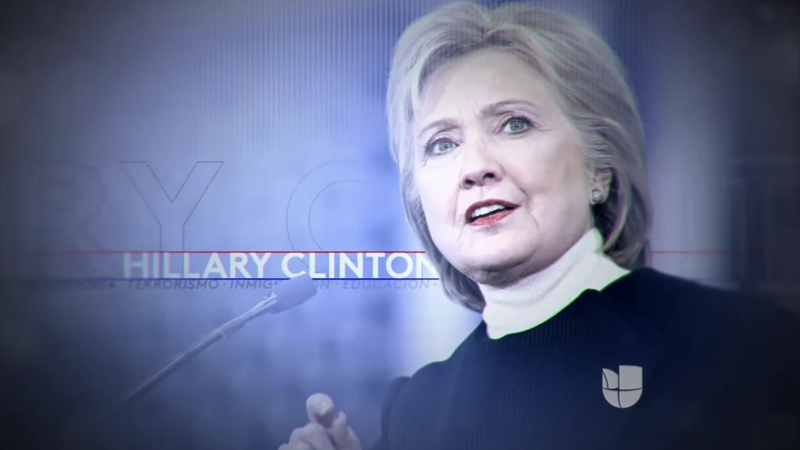 Like the other networks, the opening also included soundbytes from each candidate played over cutout photos that zoomed in for added effect. 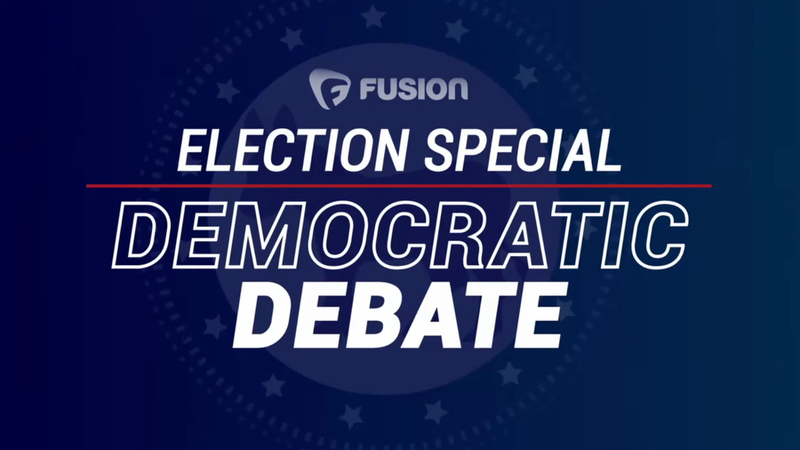 Fusion, a joint venture between ABC and Univision, added its own branding to the debate, with lower thirds and a different title card. 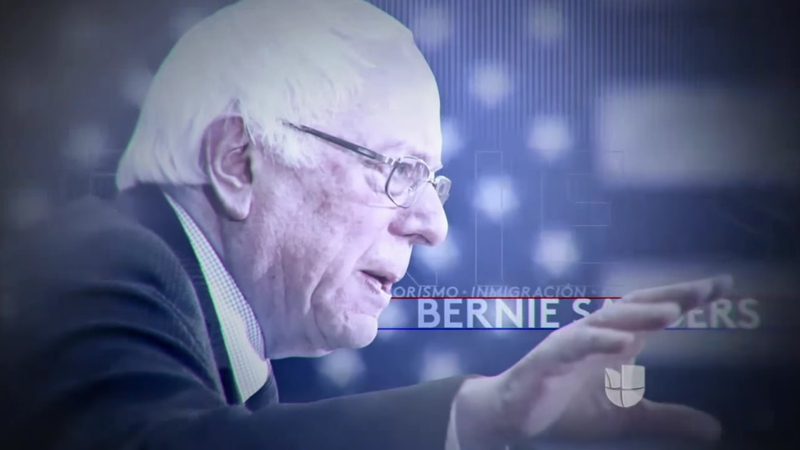 The Republican field will debate tonight on CNN from the University of Miami.